Tagline Suddenly...Love Becomes Lust...Innocence becomes shame...As two women are trapped by violent passion and unforgettable terror! 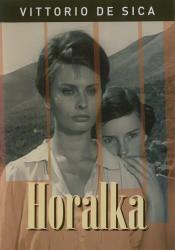 Synopsis Cesira and her 13-year-old daughter, Rosetta, flee from the allied bombs in Rome during the second world war. They travel to the village where Cesira was born. During their journey and in the village, the mother does everything to protect Rosetta. However, on one occasion they both get raped by soldiers hiding in a church. This cruel event is too much for the always powerful fighting Cesira and she suffers from a breakdown. During their stay in the village, a young intellectual, Michele falls in love with Cesira who does not know how to reply to the advances of such a gentleman.